Parfaits are a nice light and fun dessert and make such a beautiful presentation. 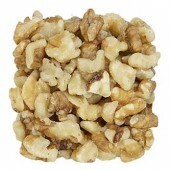 Unfortunately, they are not always healthy or low in calories. Many fruit parfaits, although incorporating sweet fruits, will usually include added sugars that are not necessary. It’s a good thing that there is a healthy parfait recipe that calls for vegan pudding and raw ingredients so you can enjoy a parfait without any guilt. All the ingredients in this Brownie Vegan Parfait are natural and whole foods. 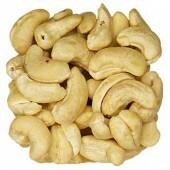 The sweetness comes from the low glycemic maple syrup and the natural sweetness of the bananas. To make the brownie, combine all ingredients in a food processor until crumbly. Processing any longer will cause the brownie to become oily. 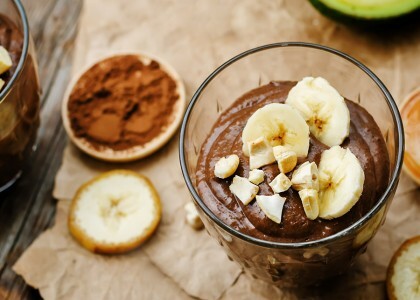 To make the pudding, blend the banana, cashews, maple syrup, cacao powder, and vanilla in a blender until completely smooth. Add the cacao butter and blend again to incorporate. Chill the pudding in the refrigerator for at least 2-4 hours. To assemble the parfait, arrange some of the diced bananas in a tall, clear glass. Spoon a layer of pudding on top, then sprinkle some brownie mixture over it. Repeat the layers one or two more times. Serve immediately with an iced tea spoon. It is hard to believe that this Brownie Vegan Parfait is vegan and raw. The texture of the brownie crumble resembles a brownie exactly, and the creaminess of the vegan pudding and chocolate flavoring makes it hard to believe that the parfait is vegan. 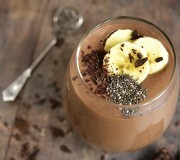 The chocolate goodness plus the additional hint of banana equals a perfect match. 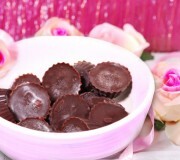 Maca Cashew Chocolate Cups are so delicious and are excellent for any special occasion. Maca comes from a Peruvian root and is considered a superfood. The Maca root is known for having many nutritional benefits, for example, it is an excellent energy source, balances out hormones, and acts as a love potion. These chocolate cups are perfect for Valentine’s Day. 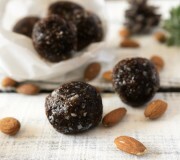 This recipe for Bakeless Brownie Raw Food Treats is an amazing low carb snack and can easily be made for many different occasions. Who even thought that low carb brownies could be possible? Fortunately, with the combination of almond flour and dried coconut, we can turn ingredients into yummy things like low carb brownies. The healthy fats from these two items and the protein benefits from the almond flour really make a difference to your health when you make any low carb recipe items. 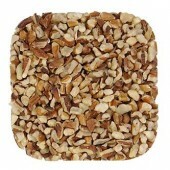 You can also use almond flour and dried coconut to make gluten free, vegan, and raw desserts.